I’ve finally ticked it off my Bucket List…wahoo! 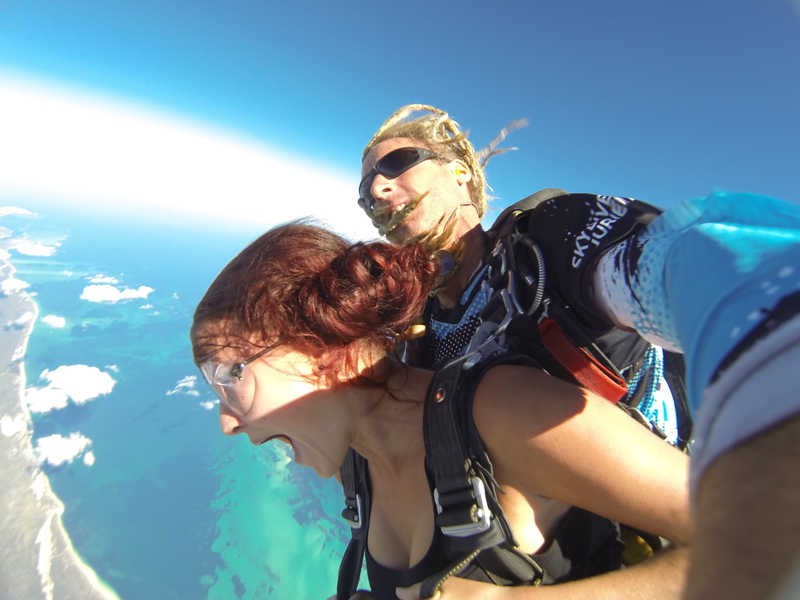 This skydive has been an important part of my Life Bucket List and my 2015 Bucket List. 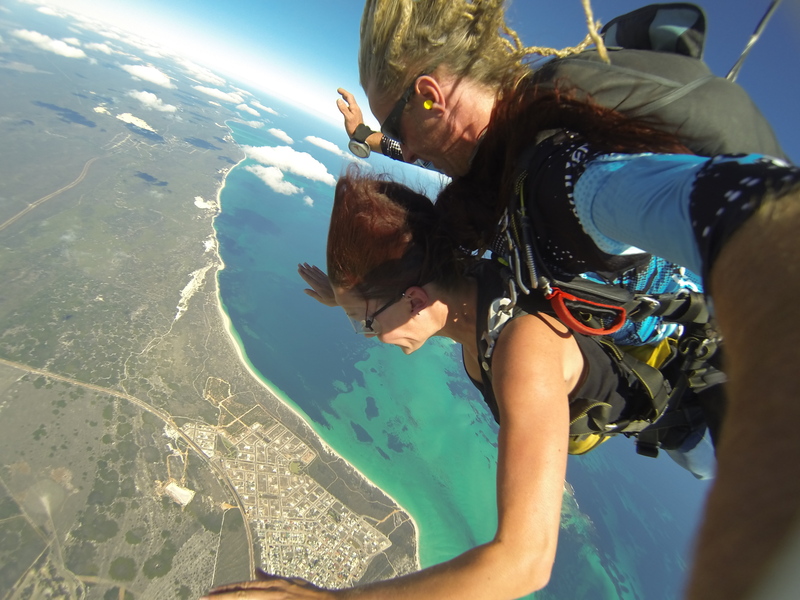 The skydive was a birthday present from my partner so Ms. S.D and I booked our skydive for the 9th of May in Jurien Bay. Throughout the month of May and June, customers will be offered a free upgrade from a 14,000ft jump to 15,000ft jump…we accepted. Might as well go all the way to the top floor! The total cost was $600 for the jump and a video and photo package. We booked our jump for 11am so thought it best to leave at 8.30am to give ourselves enough time to get there without rushing. 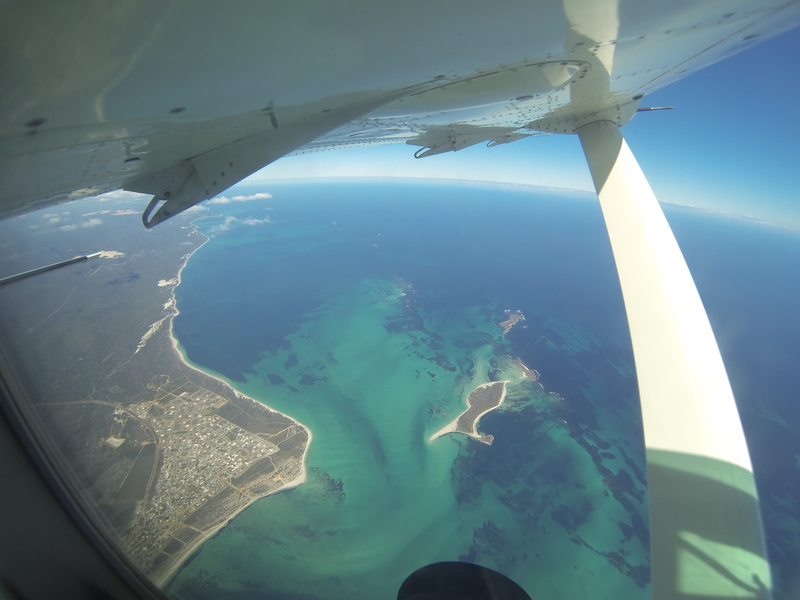 We arrived at Skydive Jurien Bay just after 10.45am and completed our waivers and all of the other formalities. 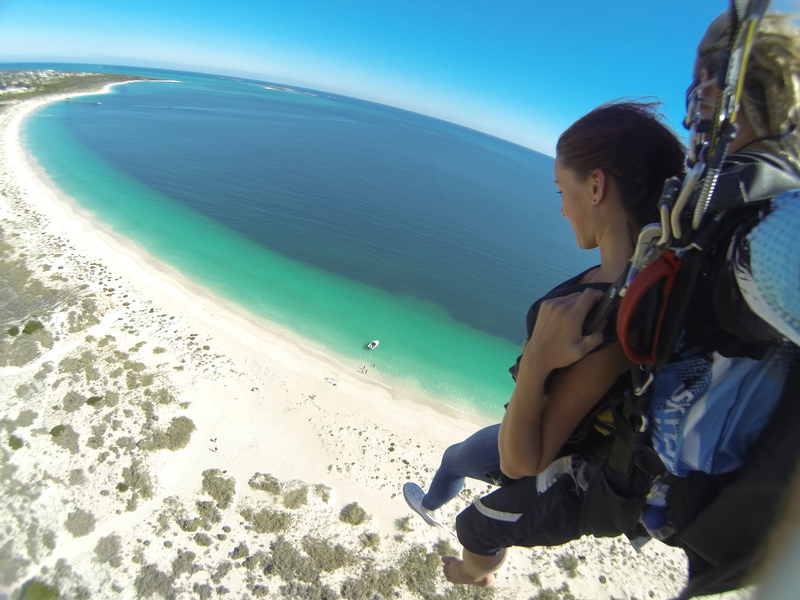 The centre is quite large and Skydive Jurien Bay offer tandum jumps as well as the option to learn how to solo skydive. After watching the safety video, we were soon kitted out with our harnesses and we loaded into our transport along with our parachutes…of course! 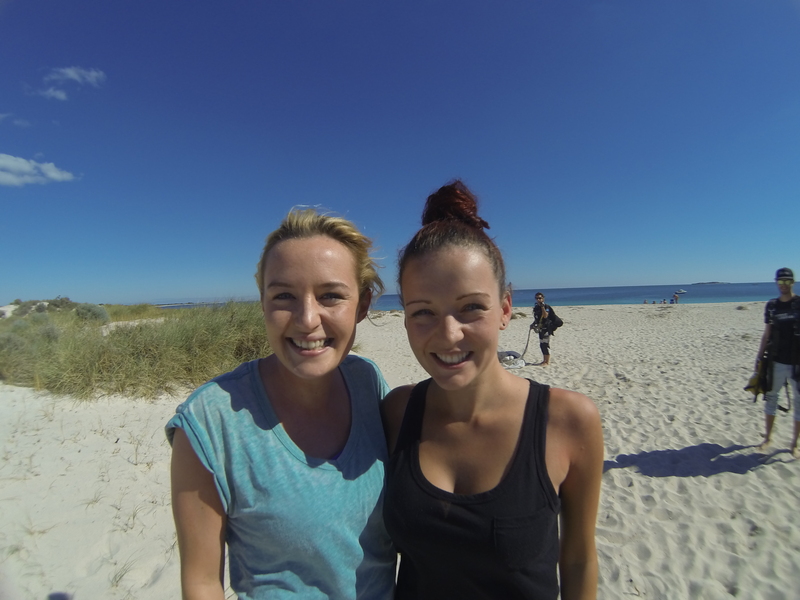 We travelled out to the runway where the filming of our videos began. I have to admit, the video is cringeworthy but I’m glad I got it. I can’t describe what was going through my mind as we climbed higher and higher. 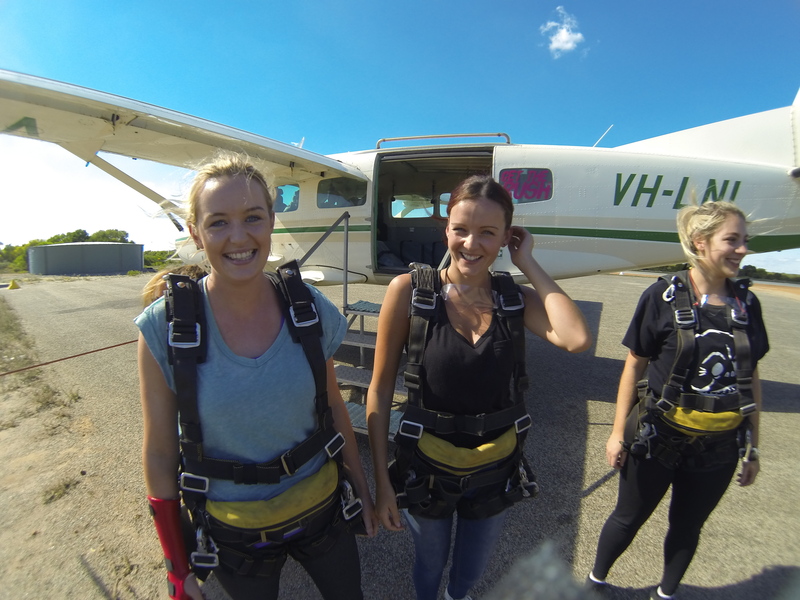 Two girls jumped at 10,000ft which was a bit of an eye opener but we kept climbing. 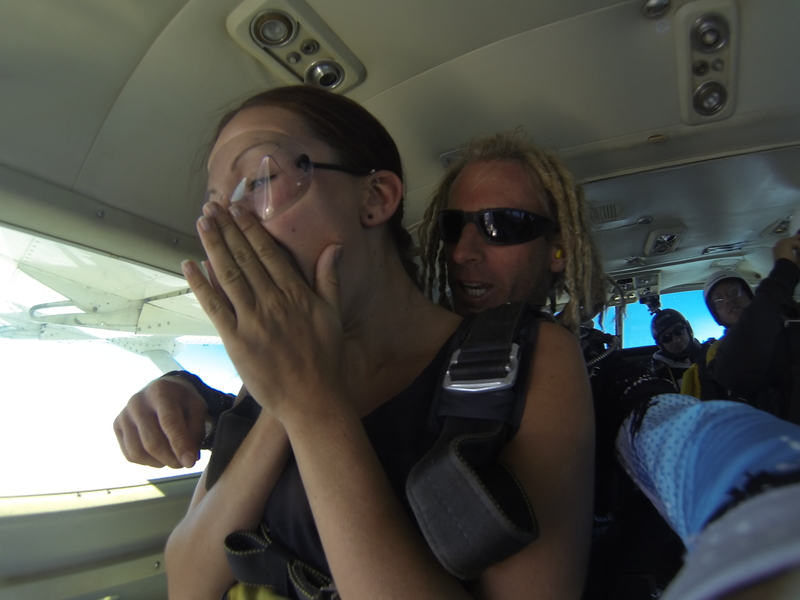 Ms. S.D was first to jump and this photo shows exactly what I was thinking as they threw themselves out of a plane. Within 10 seconds, I followed her out, screamed with fear and excitement at the same time. What an adrenalin rush! From 15,000ft, we had 60 seconds of free fall…It may have felt a little longer. I felt free but completely helpless and vulnerable at the same time. The cord was pulled on the parachute and I got a steer the parachute a little as we glided towards the sea. Paul took the control as we glided closer and I got to sit back and take in the scenery I was flying over. It really is a beautiful place. Loved this post, what an awesome experience! 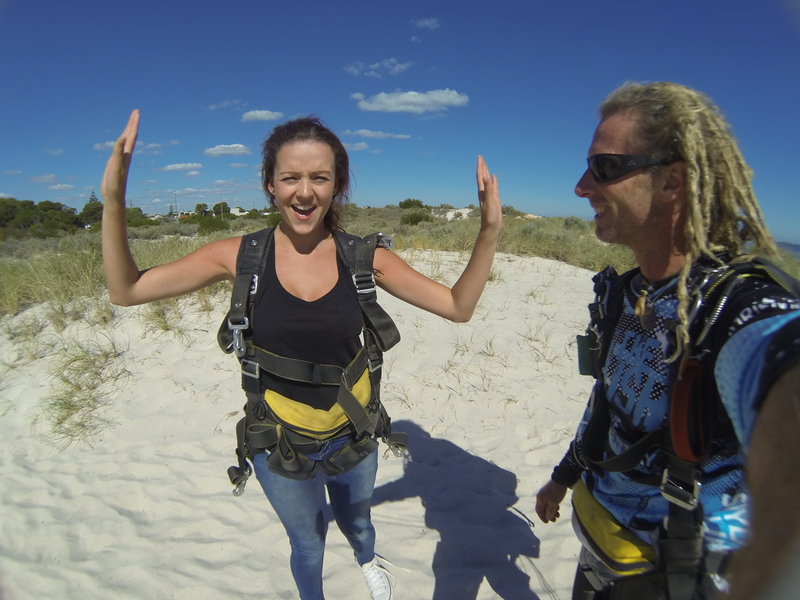 I skydived over Lake Taupo in New Zealand and thought it’d be a once-in-a-lifetime thing, but I as it was a several years ago now I want to give it another go sometime. It’s actually surprising how peaceful and not scary it is once you’re free falling. It must have been cool landing on the beach! 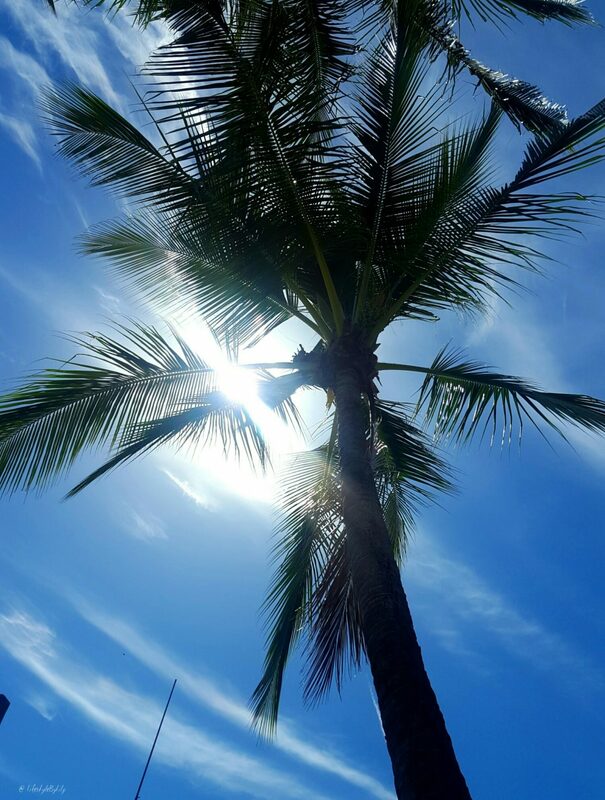 The white sand and blue sea & sky look really beautiful, and the colours so bright. It really was amazing experience! Once you get over the initial shock it’s very enjoyable!